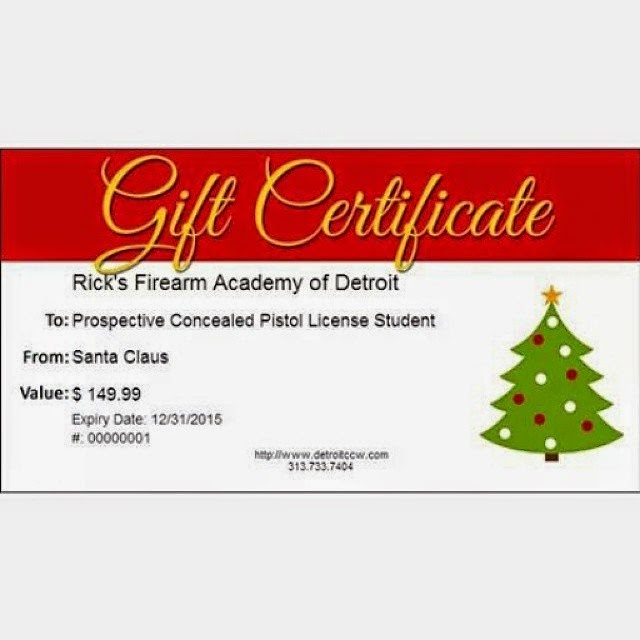 LAID - Legally Armed In Detroit (Michigan CPL CCW Classes): 2015 Discounted CPL Class Gift Certificates On Sale - Buy NOW! 2015 Discounted CPL Class Gift Certificates On Sale - Buy NOW! Buy a gift certificate today for any one full day (8 hour) training class in 2015 and receive a steep tuition discount. Price is too low to display publicly! The supply of certificates available for purchase is extremely limited! There are only 10 available! Pay now, save a ton of money, and then take the class when you are ready! If you want a CPL and you are pressed for free time, this offer is a no-brainer!